Valhalla is still alive, Chicken Kiss shows who’s boss and find out what tore apart to Red Army and Envy alliance… all in today’s Albion War Report! As reported in one of our previous War Reports, Valhalla was making a valiant last stand holding on to their last remaining territory. After being forced on to the ropes by Vendetta and parting ways with their allies in the old BIG Alliance, it seemed their days were numbered. 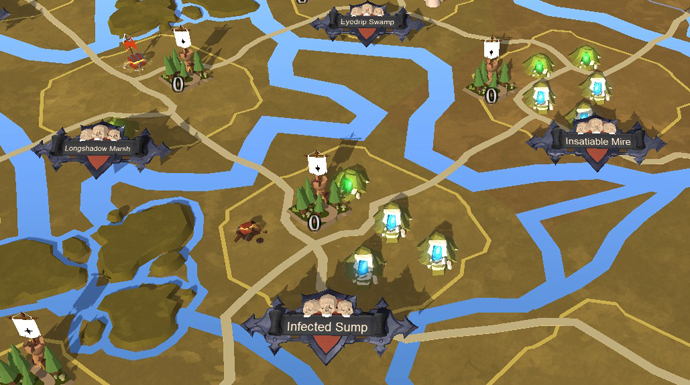 Making a complete turnaround, they have been have been heavily on the offensive and have taken a vast array of land in a short amount of time! Now the proud owners of half a dozen territories, their future is looking bright. "After a month of being trapped on our main plot, we managed to get our GvG teams some great gear and push back Vendetta,” said Valhalla's Bacharel. He then added, "we had information that their A team had left the game. In the end, the teams they sent to fight us back could not beat us." There were rumours recently that perhaps Valhalla were in the process of a merger with Echo of Silence, as they were seemingly doomed. After being dropped from the BIG Alliance, it looked as if they were maybe being left out to dry, but in the end, Valhalla went their own way to pursue their ambitions. Regarding the relationship that they have with their old allies, Bacharel stated: "Valhalla and EoS have a long dated friendship, but we didn't accept the offer to enter the alliance that is now called Zika because we had a few issues we had to solve first." Whatever problems they once had, it seems Valhalla has well and truly fixed them. Now standing strong on their own, they most definitely have an iron will and a desire not to be trifled with. What will the future have in store for this 'die-hard' guild? 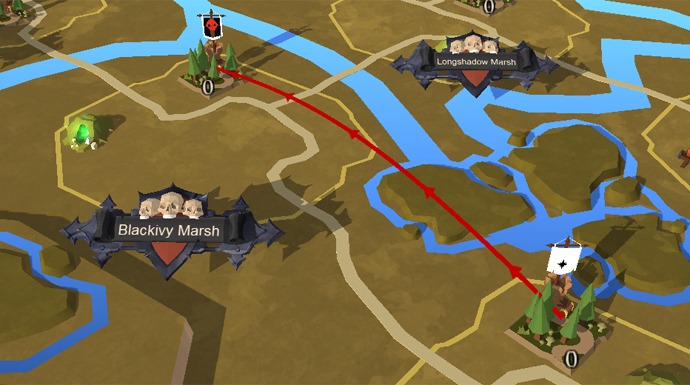 In the wake of Nilfgaard's departure, War Legend had taken the opportunity to strengthen their footprint on the map. They had successfully taken control of many vacant territories, however a lot of what they had gained initially has been lost to a rampant advance from Chicken Kiss. 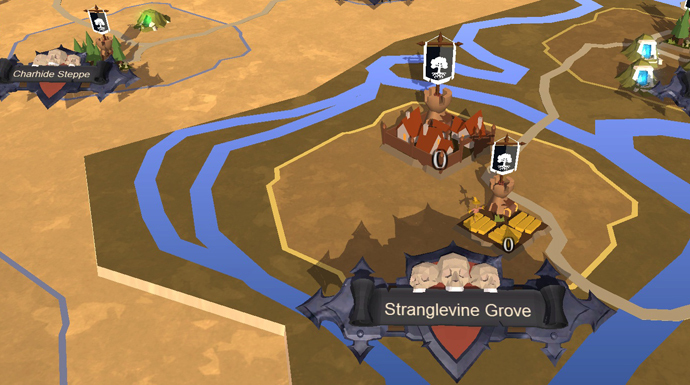 Many guilds took advantage of the defenceless lands with Gentlemen conquering a couple for themselves and Articulo Mortis has assumed control of the old Nilfgaard base. It will be a real challenge for all these guilds to hold on to their gains though, as this particular region of the Outlands is ever changing and extremely active. In this chaotic part of the world, War Legend had stood strong since the very start of the test, but their position is now being contested. Chicken Kiss has been going from strength to strength against War Legend, with an almost perfect record of GvGs with their 'A' team. "The fight against WL has been easy for our main team so far," declared Nipp from Chicken Kiss, showing his delight in their successes this far. He then commented that, "our other teams had some defeats though, but they are still in a learning process. Overall everything goes well for us." This shows that the battle between the two is not one sided in the least, however I believe it is far to say that Chicken Kiss is currently out on top. To also further cement their position, Chicken Kiss has joined the newly formed Zika Alliance, after the V4 Alliance somewhat ceased to be. "Vendetta went inactive for the most part of the guild" said Nipp before adding, "we wanted to keep playing the game so we allied with Echo of Silence." Chicken Kiss receives a lot of praise from their previous allies, Vendetta, with Liwi complimenting them exclaiming, "I would like to take advantage of your question to make a real big up to the Vendetta guys as they helped us so much in the beginning of this beta!" 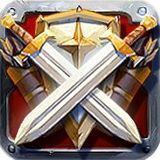 When asked about what the future holds for their conflict with War Legend, Liwi stated: "For the future, we can't be sure of anything because it's all about the relationship with them." So perhaps this means that there is no immediate end to this battle just yet, which is great news for everyone else. We will keep you posted on any future developments regarding this ongoing conflict. In perhaps one of the most unexpected incidents of this test, Red Army and Envy have went their separate ways after a period of turmoil within their alliance. 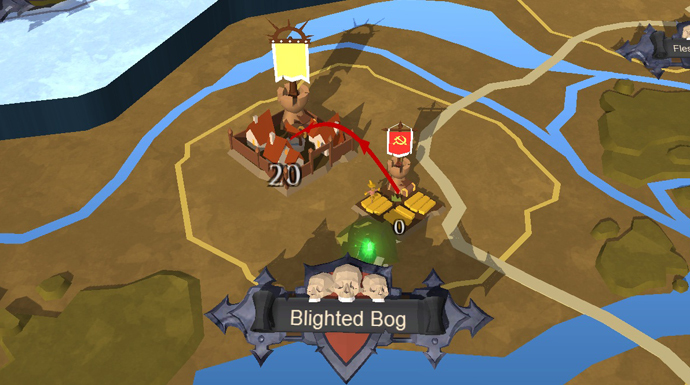 Oh drama, how we love it here in the Albion Online community! While out in the world, on an alliance-wide operation, Red Army, Envy and War Legend were on the offensive. However, in a series of escalating events, starting from the looting of a corpse by an Envy member who had not participated in the kill, ended in all out war between the alliance members. Sources from inside the alliance had hinted at deteriorating relations between Envy and Red Army for some time. In one fell swoop, it erupted in a most violent fashion. The island continent of the Outlands was pretty much almost under the full control of the Reign Alliance. In the past couple weeks, the alliance had been having to defend to against many smaller guilds cropping up and settling in on vacant plots. With Exodia delving deep with its advance in the south, things were looking worse for Envy and Red Army before the split. The map has changed drastically and Red Army now controls the majority of the island with Envy seeking to jump ship to the main Outland continent. This is of course due to the success Red Army has had since the initial breakout of the war and has triumphed over Envy in almost every aspect. "We had hoped Envy would give us good fights like Nilfgaard did. Every fight against Nilfgaard was a bloodbath. However, we found that those two guilds are on different levels. Envy launched attacks but only lasted one day. At this point, we are working on getting them out of our continent completely, where they go next is not our problem." Clearly, there is some bad blood between the two parties and it does not seem like it will be settling down any time soon. Envy is still holding on to some territories on the island, however their days are numbered. In the meantime, Envy have chosen to settle near their allies in the Reign Alliance, War Legend, by acquiring two plots in Feral Pound. This will most definitely strengthen the alliance stronghold, with both guilds now being right next to door to each other. However the neighbourhood that they have moved to is pretty crowded with large alliances such as Zika and Only. This will only increase the friction between the various alliances in the area… which is good news as it should bring more death and destruction! 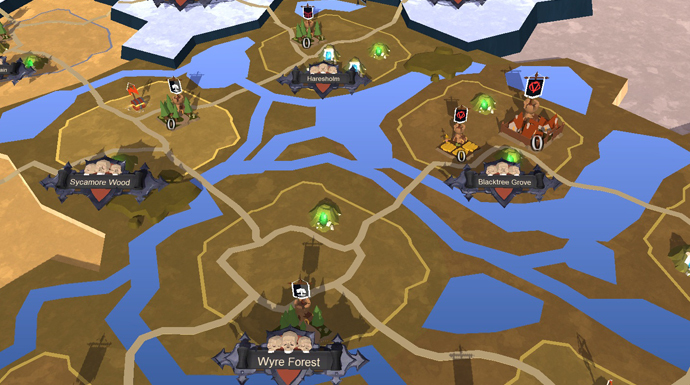 What do you think of the current rumblings in Albion? Let us know in the comments below!